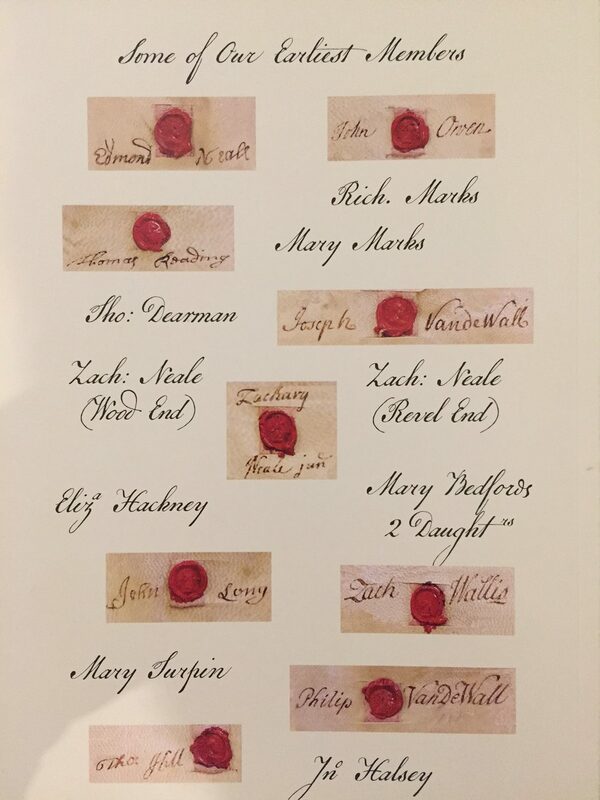 Signatures of our earliest members from the deeds of the purchase of land in 1718. Celebrations continue throughout 2018 at our wonderful Hemel Hempstead Friends Meeting House, located behind the Old Bell Inn on Hemel Hempstead Old Town High Street. Since the 1600’s Quakers have met and worshipped mainly in silence. They have no clergy, no creed and no dogma. All are welcome to meetings. They are committed to peace, and the equality of all people, believing there is “that of God” in everyone. 29 September – open garden with apple juice pressing and a play commissioned by Quakers from ‘Spirit of the Old Town Ghost Walks’ to celebrate their historical links with the Cranstone family, ironmongers of the Old Town, and Elizabeth Stirredge – early Quaker non-conformist activist, author and prophet. We have also published an anthology of Quaker writings and art; memories of the 20th Century; the lives of local conscientious objectors and an in-depth local history going back to 17th Century when Quakers first started meeting at Wood End. 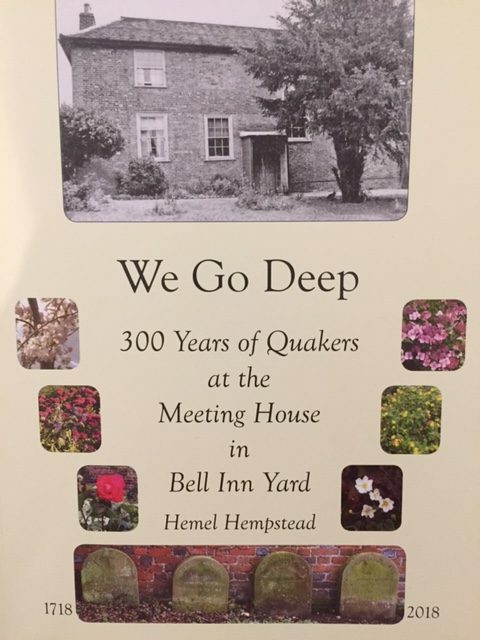 The fully-illustrated 128 page illustrated book, ‘We Go Deep’ is available from the Meeting House and to borrow from the local civic library.